Names of people and places perform an important role in general fiction, helping the reader relate the characters and places to a world they already know. In fantasy and science fiction, they can be an even more powerful force, working either for or against you. Names can help you build an imaginary world for your reader that’s a tangible believable thing, but they can also be dangerous. A name that doesn’t fit your imaginary world properly is a weak point that can nag away at the reader like a sore tooth. A name that belongs strongly to the everyday world can shatter illusion in an instant. 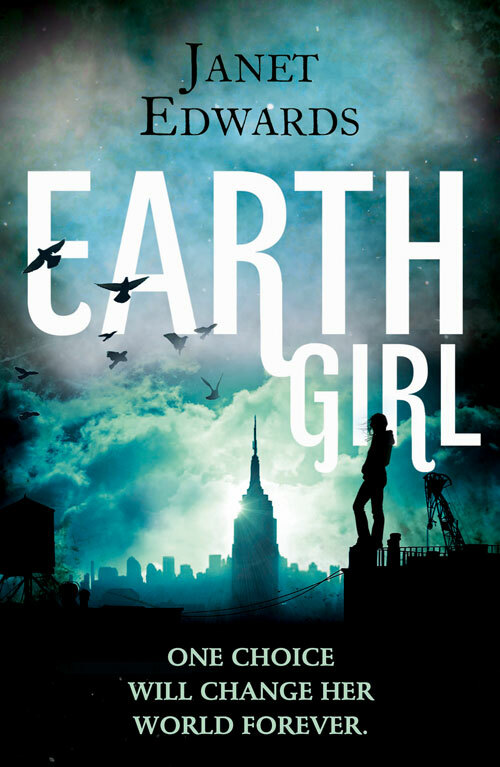 My Earth Girl trilogy is set on our Earth, but centuries in the future. In the late 28th century, most people travel between hundreds of worlds by interstellar portal. Most but not all. My main character, Jarra, is among the random one in a thousand born with a faulty immune system that means she’ll die on any world but Earth. Those other worlds needed names. Planets in our solar system, like Mercury, Venus and Mars, are named after Roman gods. People settling new worlds wouldn’t limit themselves to specifically Roman gods, but it would be natural to follow the same principle. I chose legendary names like Hercules, Asgard, Cassandra, Artemis, Thor, Miranda, Demeter, Danae, Adonis, Zeus, Cassandra, Persephone, and Osiris. Planets are divided into sectors, with about two hundred planets in each. The sectors are named from the Greek alphabet. Alpha, Beta, Gamma, Delta, Epsilon and Kappa. I wanted an implication of relative importance, because the older sectors, especially Alpha, would naturally be the most powerful politically. There’s also the oddity that Zeta would normally come after Epsilon, which is a flag that something didn’t go according to plan. Sometimes it feels like you can only possibly choose one name. After the invention of the interstellar portal, there was a period of a hundred years where people streamed away from Earth to go and live on the new planets. I had to call that Exodus century. Everyone speaks a common tongue, and I had to call that Language. The norms all live on the new worlds now. Only the Handicapped live on a depopulated Earth with its cities long abandoned and falling into ruins. Those two terms, norm and Handicapped, are meant to imply a lot of things to the reader. That the majority are regarded as normal, and the one in a thousand aren’t. That a faulty immune system that limits you to living on Earth is regarded as not just a handicap, but the Handicap. This is the only significant handicap people suffer from in this future with advanced medical techniques. Handicapped is the official polite term, but there’s prejudice against these people so there are insults too. These insults reflect the idea that they’re less evolved, throwbacks, Neanderthals, apes. The Handicapped are portalled to Earth at birth to save their lives and are almost always abandoned by their parents. They are raised as wards of Hospital Earth which runs the planet. A name meant to imply a vast, impersonal, global institution and also that the Handicapped aren’t regarded as capable of looking after themselves. Centuries in the future, old names will have come back into fashion, spellings will have changed, new names will have been invented. So my main character is Jarra. Her Handicapped friends are Issette, Keon, Cathan, Ross and Maeth. Jarra can’t leave Earth, but she lies her way into a pre-history class of norms who’ve come from other worlds to study the ancient ruined cities. The period when people only lived on Earth is called pre-history, the time before the modern history that really counts. This is the interesting point where the world building starts limiting my usage of names. You can add a whole wealth of cultural richness by the use of surnames, but the wards of Hospital Earth don’t know who their parents are and Hospital Earth allocates them names from an approved list. Naming systems among the norms vary depending what planet they come from. Some surnames are deeply significant, but Jarra doesn’t know that in the first book. Jarra and her friends grow up in a series of residences, starting in Nursery, moving on to Home, and finally to Next Step. There would be thousands of these residences, but as part of the impersonality of the system they don’t have individual names, just portal codes. The wards are allocated professional parents to spend two hours a week with them. I wanted to keep the constant reminder that these are professional parents not real parents, but I shortened the term, so Jarra has two ProParents, a ProMum and a ProDad. My world building limits the use of place names too. My characters would never refer to countries, because this Earth has been truly global for centuries. Travelling by portal, just dialling a code and stepping through, they’d have little sense of physical location. The only reason they’re aware what continent they’re on is because of the different time zones and because they need a long distance portal to travel between continents. The place names I do use are both familiar and unfamiliar, reminding the reader that this is Earth, but an Earth that has changed. New York is referred to as New York Dig Site, because the ancient cities are dig sites where archaeologists hunt for relics from the past. Even when Jarra gives a list of city names, they aren’t exactly the same names we know now. ‘New York, New Tokyo, London, Moscow, Paris Coeur, Berlin, Eden’. A mention of the California Rift underlines the fact that even geography has changed. So I think there are three important things to remember about names. The right name can help build a world, the wrong name can destroy it, and sometimes the best choice is not to use a name at all, just the cold impersonality of a code or a number. Janet Edwards on Twitter, Facebook and Web. The next guest will be Lyndsay Faye on the 13th, and I may even have a bonus post soon, so stay tuned! Posted on December 10, 2012, in Debut Authors Guest Series, Guest Posts and tagged 2012 Debuts, Debut Authors, Debut Authors Guest Series, Earth Girl, Guest Posts, Harper Voyager, Janet Edwards, Names, Names A New Perspective, Science Fiction, The meaning of Names. Bookmark the permalink. 3 Comments.